Juicyy tomatoes are in season and more importantly at a slashed price tis definitely calls for some pickling.. Nope, i ended up with a bottle of sun dried tomatoes filled with olive oil.. I felt that homemade is better on seeing the costs of 200 gms bottle sold in hyper markets.. For tat cost i cld easily make 4 bottles of some homemade goodness. These can be blended with mayonnaise for a quick spread, added in sandwiches / subs / burgers, used while making pizza / foccacia, pastas, salads and the list is endless.. 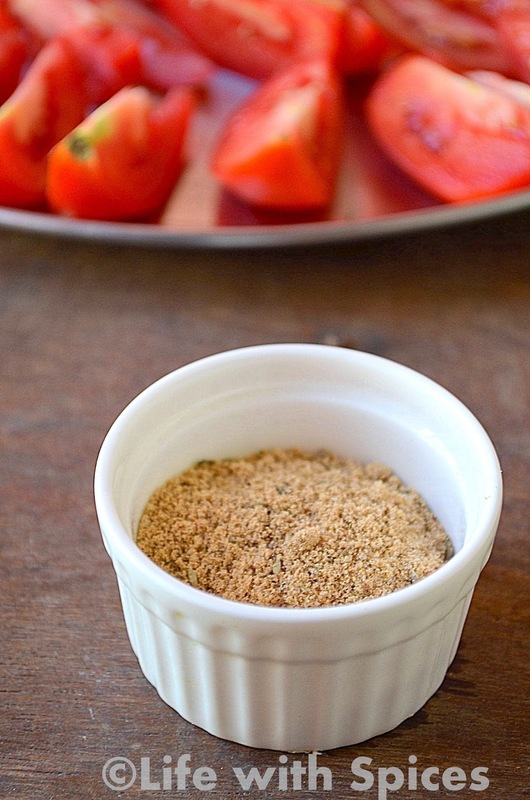 This is such a sooper quick recipe (if there is lots of sun) very minimal ingredients is all needed.. If there is no ample sun oven method can be adopted but my house was well lit with scorching sun and so i choose the traditional method. It can stay well for approx 3 months i guess.. This is my first attempt so am yet to nail on its shelf life. 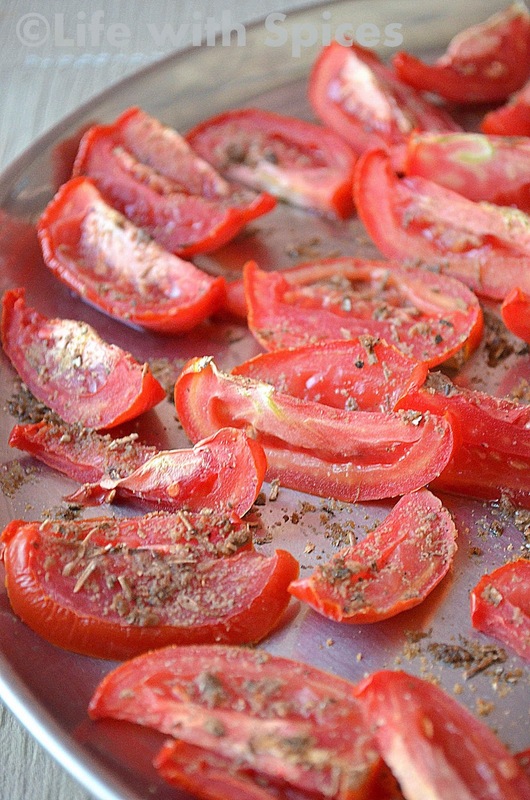 Mix all of the above dry spices and sprinkle generously on the arranged tomatoes on a plate / plastic sheet. 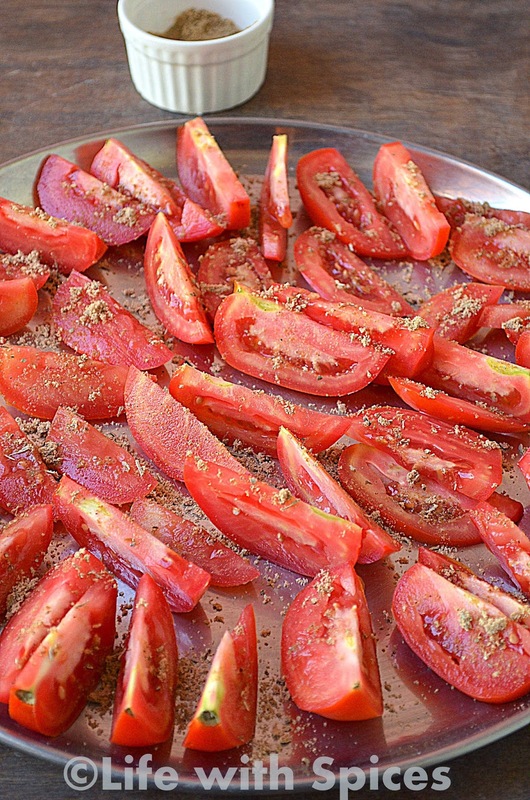 Dry them for 3 days or until the skin of the tomatoes shd be completely dried. Cover and dry them to avoid dusts.. This is end of day 1 picture. End of Day 2 picture. Mine took only 2 and half days coz the heat on the terrace was well sufficient..
Once they are completely dried transfer to a sterilized bottle / container pour the olive oil and store them. 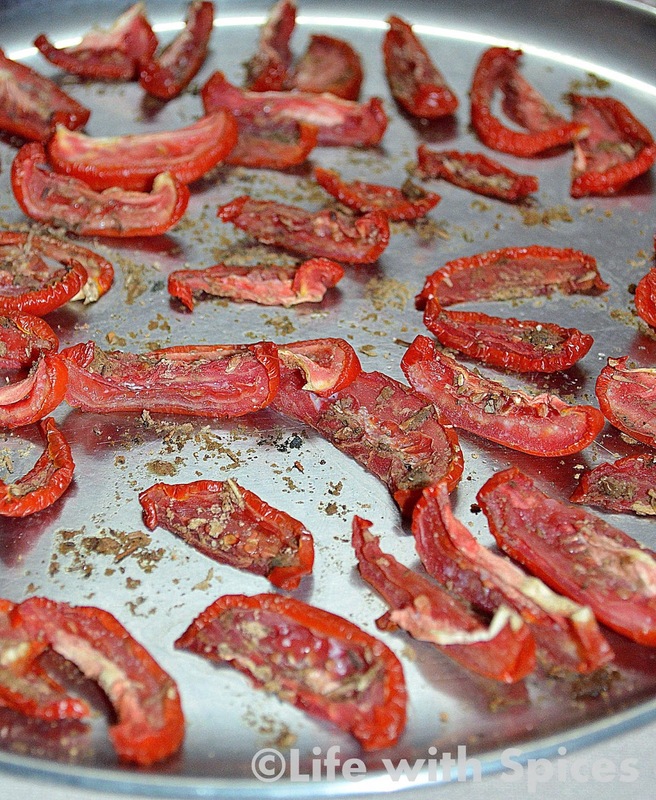 Easy homemade sun-dried tomatoes... well explained! You are capturing nice colours in your photographs. 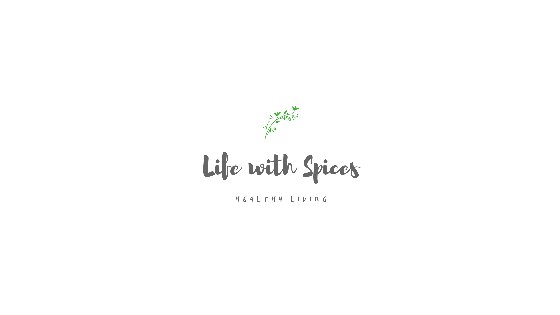 Looking forward for more recipes in Summer series.